Do you believe in the existence of auras? “What on earth are you going on about?” we hear you cry. “I have never seen one of those before, but I have heard of them!” In synthesis, an aura is a bio-electric field that surrounds the human being. The colour and shape is said to mirror a person’s soul, character or physical condition. Mainstream scientists and medical personnel deny its existence. There’s no acceptable scientific proof that auras exist you see, but Kirlian photography lays claim to strange and colourful emanations around leaves and trees which have been photographed and registered for the studious fraternities to note. In any event, more of us are beginning to “cotton on” that not all we are told by mainstream education might be as exact as the “forces that be” would like us to believe! Some psychics are gifted with the capacity of seeing auric colours, the aforementioned stunning repertoire of rainbow colours expressing themselves within and around our bodies, as energy fields. As auras do their “thing” and express who we are, the sensitive can certainly “feel” them, even if she does not see the colours clearly. Often she will pick up on emotions and energies associated with the auric manifestation itself, as well as interpreting an individual’s chakras and morphic field. From those colours and “sensations” she will gain a picture of a client’s reality and emotional state, even if she has never heard of Kirlian Photography. When we talk about medium readings, however, there is something even more fascinating to take into account. Medium readings are not only to do with seeing auric colours, but about accessing entities, or loved ones on the other side Medium readings help us understand that those we so adore, and lost tragically, still exist on another plane of consciousness. In fact, their “existence” has often been registered on auric camera printouts as “orbs” or round balls of light gathering around the head or heart of a client. Sometimes we can even see faces or geometrical shapes within the orbs themselves and as we study those strange photos, we may be surprised by the intensity of the images available to us. Medium readings, frequently perceive the same perceptions and realities as an aura camera. The empath pinpoints metaphysical beings, or similar images such as orbs etc. Usually aura camera buffs hire psychics and mediums to carry out medium readings of the photographs, this to get clarity as to what is actually going on in with individual’s energy field! But how does an aura camera work? And when we decide to go for medium readings, can an empath really “see” the same visions registered on an auric camera? Well, a medium will have a different way of “seeing” As for aura cameras, the more technical amongst us might be interested to know aura cameras come in various models. One type measures biofeedback data into a computer. The electro dermal activity of the skin and emotional states is generated when the client touches a hand sensor. The data is analyzed and processed, and the vibrations translated into relevant information that reflects onto a computer screen. The colour, energy information, as well as personality type and health of an individual are printed out to assess what emotional, spiritual, mental or physical state he or she is in. 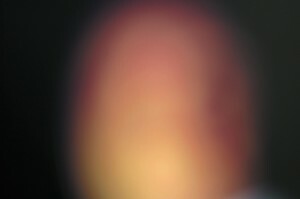 Sometimes, when an aura camera takes a photo of a medium unusual colours appear in the picture. Extraordinary shapes have been shown to manifest too. One medium we know continually shows up with a clear angel wing within her auric field when it is photographed! Of course, there is no denying some people prefer medium readings to be carried out in a more classical environment and in a natural manner, without the intervention of a camera or computerised equipment, but it is indeed fascinating to see that the latest technology can prove what psychics and empaths have been claiming for years, that our aura is a multi-diaphanous form of colour and light and that spirits and entities are standing by us, guarding us along our way through life! The proof could appear on a photo, in a camera or through medium readings! Something to write home about indeed!